The other night, I had an opportunity to dine at Gary & Francois' pop-up restaurant, Quartier, which took place at Olive & Thyme in Burbank. The venue had a packed audience. 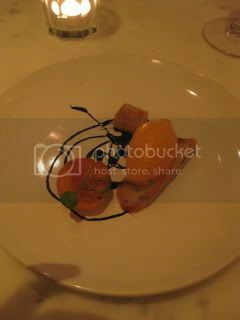 With the full-staffed service and intriguing wine list by Francois (many by-the-glass serlection), it was hard to believe that this was a weekend-only pop-up. We were offered a 6-course tasting course. 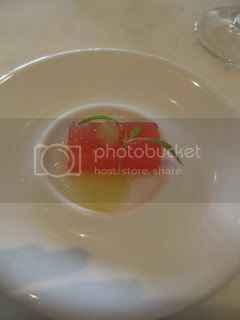 Faux Bluefin Tuna Ceviche (amuse bouche)...watermelon with lemon sauce. Nice palate stimulant. 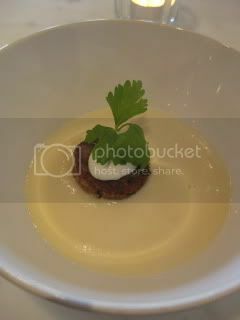 Corn Veloute, Cream Cheese, Farinette, Young Herbs...beautiful seasonal treat. 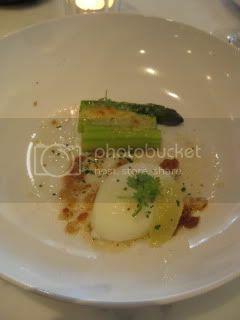 Delta Asparagus "A Ma Facon", 62C Egg, Reggano, Lemon, Brown Butter...among the best asparagus & soft egg dish I'd had. Nice pairing with 2009 Vittorio Bera, Bianco Arcese (Cortese/ Favorita/ Arneis) from Piemonte. 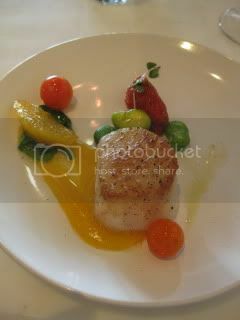 Diver Scallops, Fava Bean, Tomato Variation, Bloomsdale Spinach...my favorite dish of the night. 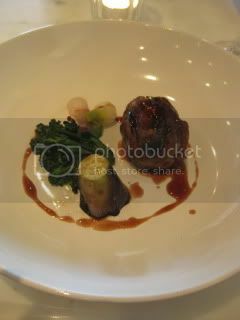 Pied de Cochon, Broccoli, Pickled Onions, Eggplant...well-seasoned braised pork trotter. 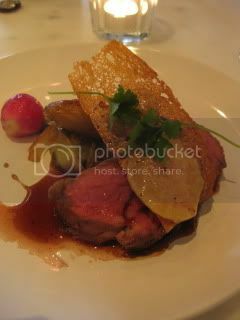 Tri-Tip, Bone Marow Crouton, Potato, Baby Leeks, EVO Poached Radish...nicely executed and juicy! Stone Fruits "Our Way"...It was nice to have a rather light dessert after rich tri-tip. Wines paired well with the dinner. 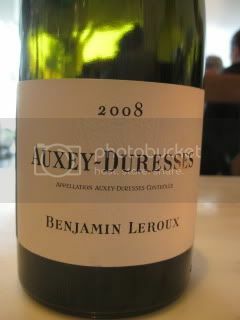 2008 Benjamin Leroux, Auxey-Duresses' clean and floral character was a nice complement with the scallops. 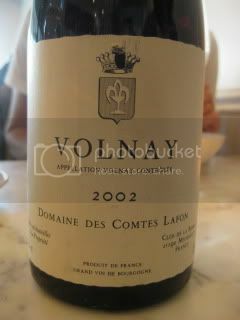 2002 Domaine des Comtes Lafon, Volnay was rich in fruit and minerals. I enjoyed it especially with the pork. I hope their new establishment will open soon near my neighborhood!